"The heart of Vienna lies within its famous Ringstrasse—a circular road completed nearly 150 years ago punctuated with Neo-Renaissance, Neo-Baroque, and Neo-Gothic monuments, and later, icons of Viennese Secession architecture. 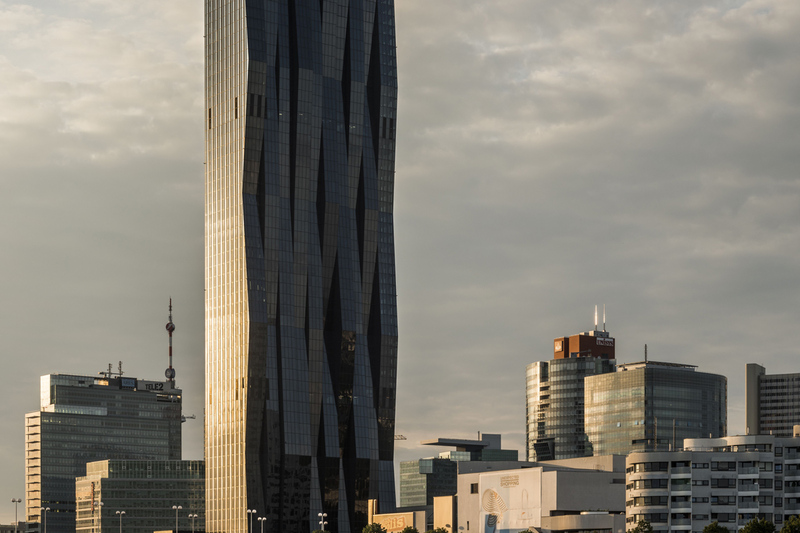 Like most modern capitals however, Vienna has expanded well beyond its historic center. 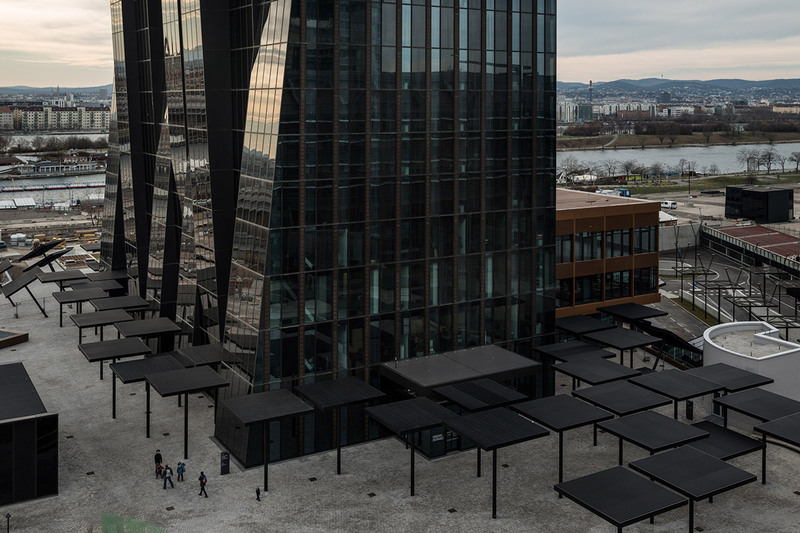 In recent decades, the city has embraced a part of its geography it had long shied away from—the fabled Danube River. 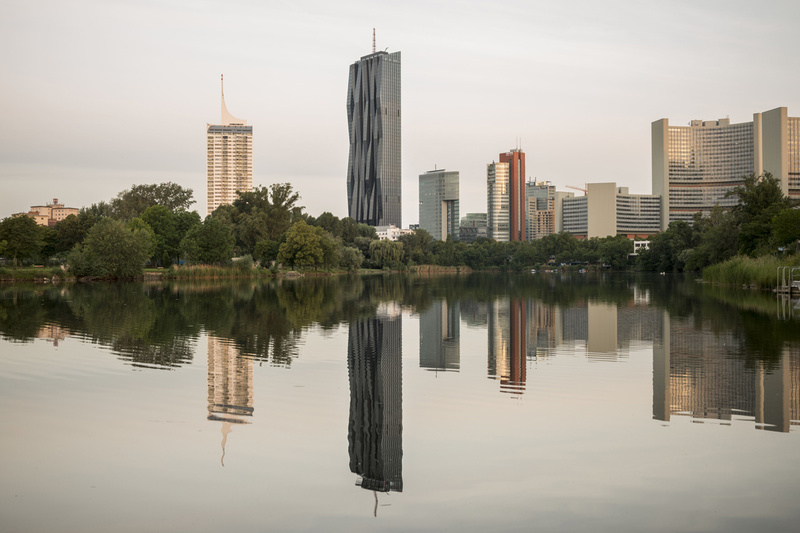 Donau City, or Danube City, began to rise 20 years ago on the river’s northern banks with buildings by Pritzker Prize-winning local architect Hans Hollein, among others. Following an international competition in 2002, developer WED called on Paris-based Dominique Perrault to design the final section of the new district, overlooking the river. 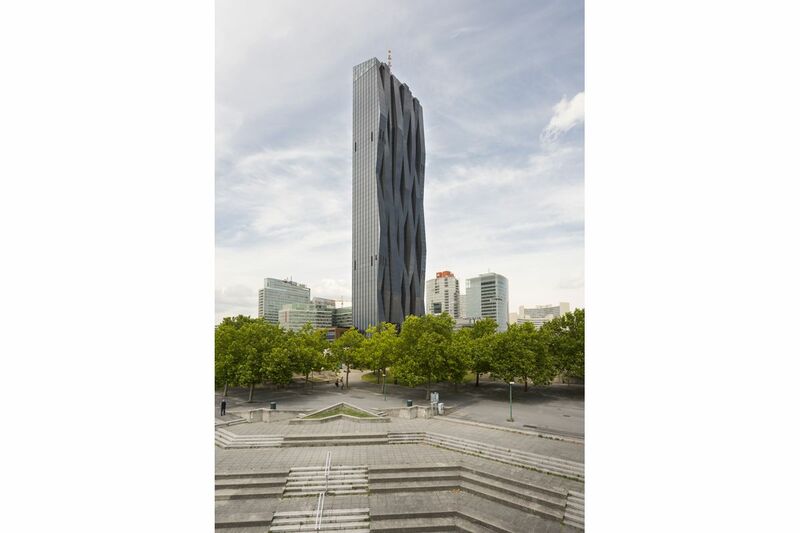 The French architect was in Vienna last week to officially open his DC Tower 1, which at 820 feet is now the tallest building in Austria. 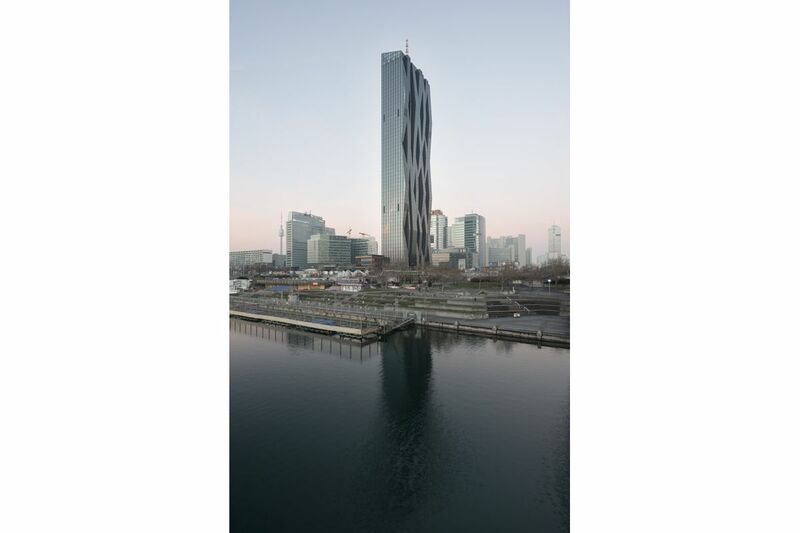 The 60-story, mixed-use Tower 1 contains shops and a hotel on the lower levels, and offices and lofts above. 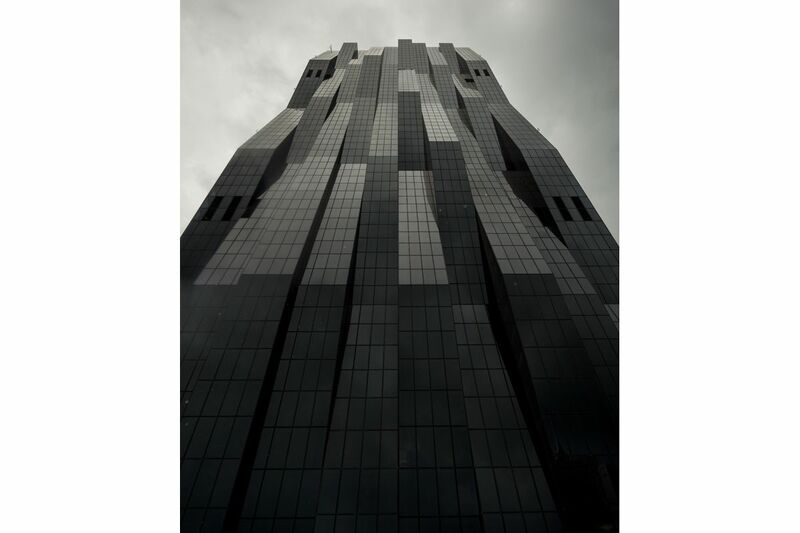 It culminates in a restaurant and sky bar on the top floor. 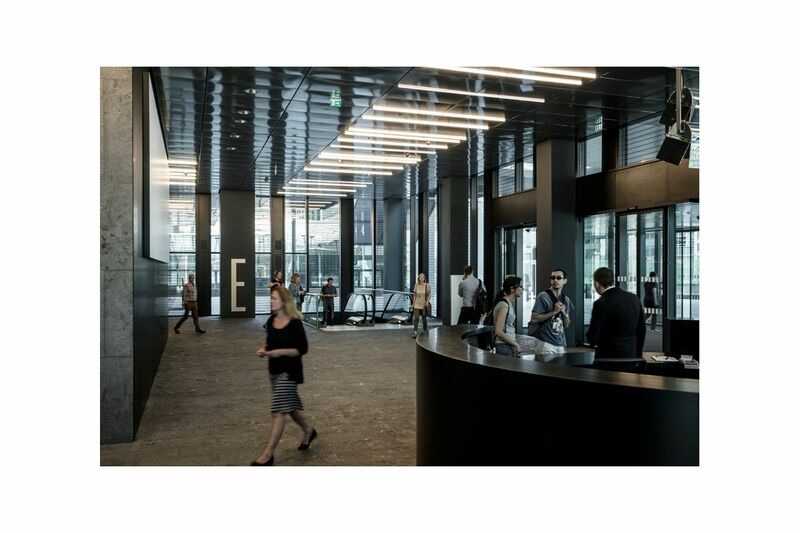 The stark interiors, designed with Gaëlle Lauriot-Prévost, Perrault’s artistic director and collaborator for more than 20 years, feature exposed concrete throughout, and stone and metal in lobbies and circulations areas. 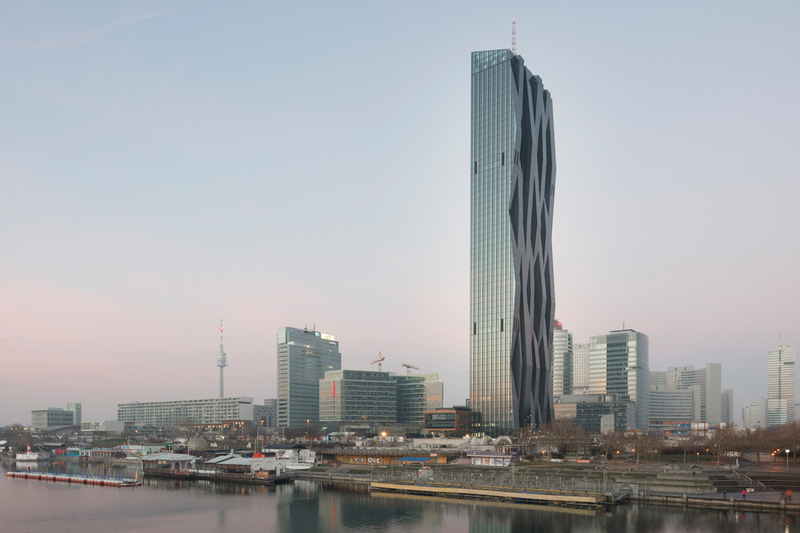 Metal umbrella-like structures are installed at the base of the tower to block wind.